Twenty-six years later, Deanna Iris and her son Brent move back to the town she grew up in — back where her secret began and when her life changed forever. As she is unpacking boxes, she receives a call from Officer Bates stating her sister and son have been taken to Mendota Community Hospital after being critically injured in a car accident. Sitting with her son who is unconscious and her sister Sheila who is in a coma, Deanna meets their doctor who reminds her of someone she once knew. Could it be possible that Dr. Sheldon is her daughter, who Deanna was told died minutes after being born? After meeting her old friend who knew about her secret, and is later found murdered, Deanna receives a note in her mailbox telling her to leave town or she will suffer the same fate. What transpired all those years ago and who is the mysterious woman she spots as she drives by her sister’s house? 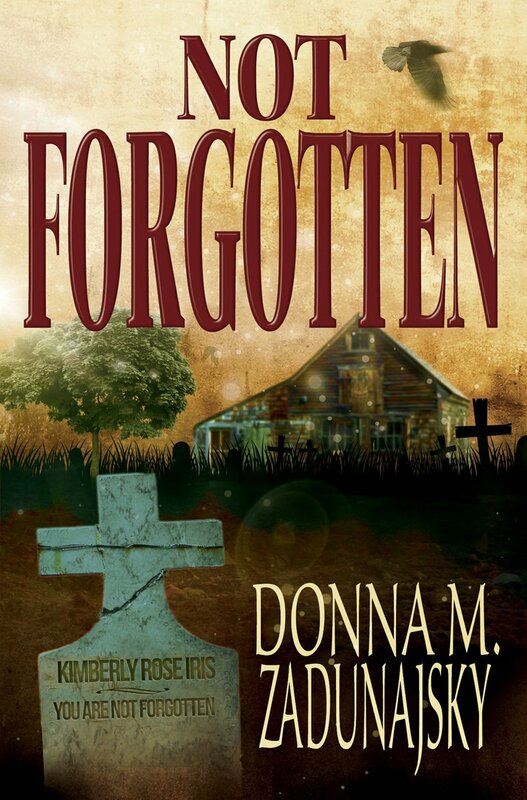 Will Deanna ever allow herself to be loved and to let go of the past? Or will searching for the answers lead to her death? I love to write about different things that don’t get written and a suspense/mystery that will keep you turning the pages. Never stop writing no matter how stressed you get and you think it’s terrible. Keeping at it and finish the book. I know there were several times I thought my book was no good, but I kept writing and went from there. It was a book that had been started 7 years ago and something just told me to finish the book. So after 8 months of writing, I finished the novel and had it edited and published. Donna Zadunajsky was born and raised in Bristolville, Ohio, and resides in Homer Glen, Illinois. She has written seven children’s books that are about her daughter and all the adventures she has done in her young life. They are currently on the Barnes and Noble website, at Amazon.com, and at www.littletscorner.com. available in eBook and paperback. Besides writing, she enjoys spending time with her daughter and husband, their dog and two cats. She enjoys reading and working on crafts and scrapbooking. She graduated from The Institute of Children’s Literature in spring 2011.